The harvest of spring greens is expanding. 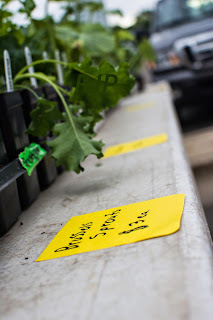 We will add spring mix, wild arugula, dandelion, and cress to the portfolio this week. We still have 4 bushels of Candy carrots with great flavor and sweetness. That might last until the new carrots are available. The new carrots are up in the garden and so are the first crop of Radishes.